Compass Community Management LLC is a full service Management Company specializing in a variety of property management services for Homeowners Associations, Condo Associations, and properties seeking the highest level of management company service and representation. Effective Community Management is becoming an increasingly more challenging and highly competitive field that requires a fresh new approach to meet the needs of Homeowner Associations and Condo Associations in Nevada today. With per capita population growing and millions of new homes, condos and other community developments nearing completion, your Management Company is not simply a service provider but often times is the face of your community, and the voice of its' residents. The Compass Community Management Team is dedicated to empowering every Community, Condo, and Homeowner Association we represent with the highest level of service, technology, and professional Community property management expertise imaginable. 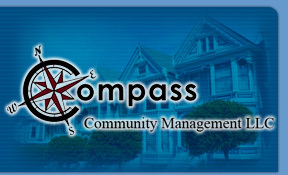 Compass Community Management offers several property management plans designed to fit the budget and the needs of Community Associations, Homeowner Associations, and property management clients of any size and type. The Compass Community Management promise is to successfully identify and satisfy all of the professional needs of every property management client without inhibition in the most cost effective and timely method possibly.